Fall is my favorite, favorite, favorite season. I love everything about fall - the weather, the food, and especially the fashion. What's better than a cozy sweater with some booties? I recently when a little shopping spree at Nordstrom and Nordstrom Rack. I've never shopped at either place before, but I am in love. Like, why haven't ever browsed through their store or website? Nordstrom Rack is my new go-to place for affordable clothing. I am all about a good bargain. Even though it is still ridiculously hot here in Georgia, I am dressing for fall in hopes that I can somehow manifest nice, cool fall weather to make its way here ASAP. So far... not working. I did spend money that I definitely didn't need to spend on some new items that I am already wearing way too much, but who cares? I don't mind being an outfit repeater. 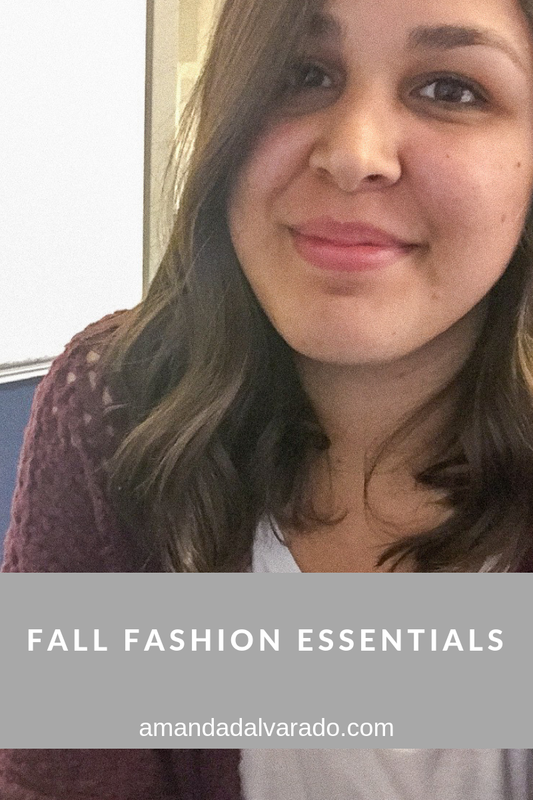 This fall, I've got a few clothing items that are just a necessity. I'm all about layering and using basic pieces that can be worn many different ways, especially because your girl here.. on a major budget. The first thing I think every girl needs in her closet is a good pair of booties. I have two - a black pair and a brown pair. These are great because I can pair them with a sweater and jeans or even a dress! The options are endless. You also need an oversized cardigan. I've been on the lookout for a good one for a while now, and I finally found this one from Nordstrom! I got it in the wine color and it is 40 percent off right now, so you'll want to get it. I wore it earlier this week with leggings and basic t-shirt, but I'm also planning on throwing it over jeans and a basic tee with some booties and even a dress! This is so cozy and can be dressed up or down. Again, the options are limitless. Tees are essential. You want good, quality t-shirts. I love a good basic tee and in the fall, I opt for long sleeve ones. You can style these with some jeans and booties to keep it casual or dress it up by tucking it a skirt with tights and heeled booties. These are essential and a must-have in every closet! My go-to fall outfit is a basic tee, jeans, booties, and an oversized cardigan. I like to accessorize with a few Alex and Ani bracelets, rings, and a simple pair of earrings. What's your go-to fall outfit look like? P.S. BIG ANNOUNCEMENT... I started a podcast! I stopped being afraid and just went for it! You can listen to The Amanda Alvarado Show here and here. I love your looks! Such great picks! always love oversized sweaters for fall!